Take action today…and protect Texas tomorrow! Southwest Power and Light has partnered with the Arbor Day Foundation for over 3 years, providing customers a simple way to help our forests and protect our wildlife and environment. For every 1,000 kWhs used by customers enrolled in one of Southwest’s Plant-A-Tree℠ Plans, the Arbor Day Foundation will plant a tree. On an annual basis, for each customer on a Plant-A-Tree E-Plan℠, Southwest expects at least 18 trees to be planted per year based on an average homeowner's electricity usage in Texas (estimated to be 18,000 kWhs per year). Enrolling in a Plant-A-Tree℠ E-Plan allows you to support healthier forests, rivers and wildlife while turning on your lights. Do your part and enroll today. What can one tree do? On September 4, 2011, three separate wildfires in and around Bastrop, TX, were ignited, eventually merging into one fire and named the Bastrop County Complex Fire. The fire spread quickly across the drought-ridden landscape of central Texas, inflicting significant damage on the man-made and natural landscape of central Texas. By October 29, when the fire was officially declared extinguished, 95% of Bastrop State Park and 32,400 acres of the Lost Pines Forest ecosystem were burned. The Lost Pines Forest is believed to be a tract of forest dating back to more than 11,000 years ago when a large pine forest existed across the south central and southeastern United States. The devastation of the Bastrop County Complex Fire was widespread and catastrophic. More than 1,600 homes were destroyed and two individuals lost their lives. The good news is that recovery is underway, and now you can help bring back the loblolly trees that made the Lost Pines of Texas one of the most unique and beautiful places in the world. Through the Lost Pines Forest Recovery Campaign, the Arbor Day Foundation seeks to help the healing in the aftermath of this tragedy by restoring the beauty of the Lost Pines Forest and continue the legacy of the loblolly pine in Texas. The Lost Pines Forest Recovery Campaign is a multi-year public–private partnership between the Arbor Day Foundation, Texas Parks and Wildlife Department and the Texas Forest Service aimed at restoring the pine trees lost in the devastating 2011 Bastrop, Texas wildfires. This effort will replant more than 4 million new loblolly pine trees on public and private lands in Bastrop, Texas. With everyone’s help, the Lost Pines will be restored to be enjoyed by present and future generations. The Arbor Day Foundation is a nonprofit conservation and education organization of one million members, with the mission to inspire people to plant, nurture and celebrate trees. More information on the Foundation and its programs can be found at arborday.org, or by visiting us on Facebook at http://facebook.com/arborday or Twitter at http://twitter.com/arborday. *In the future, trees may be planted in different parks as needs of the Arbor Day Foundation dictate. 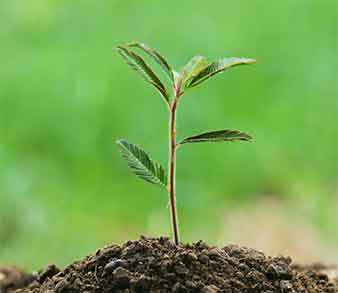 "Plant-A-Tree℠ Plan" is a registered Federal Trademark with the United States Patent and Trademark Office. All Rights Reserved.